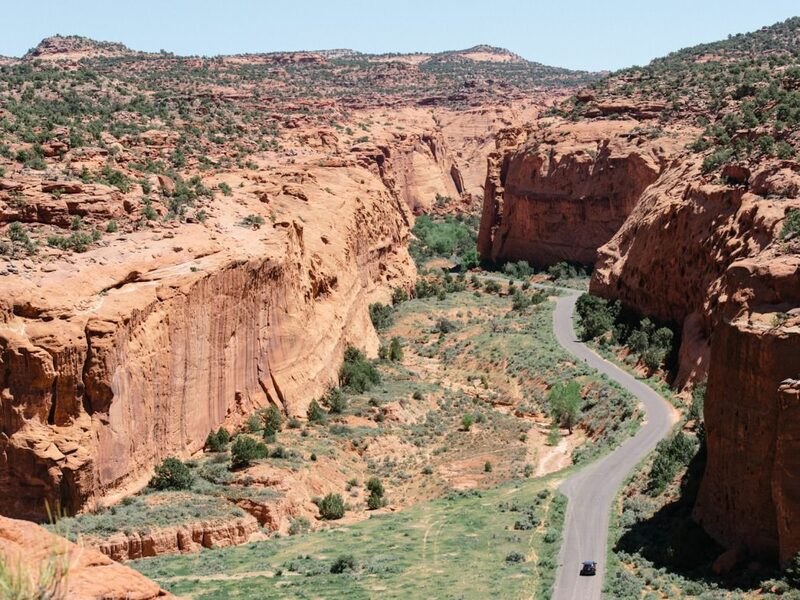 What was originally developed as a cattle trail blazed by stockman John Atlantic Burr, the Burr Trail Scenic Backway is now one of the most picturesque drives in Utah. 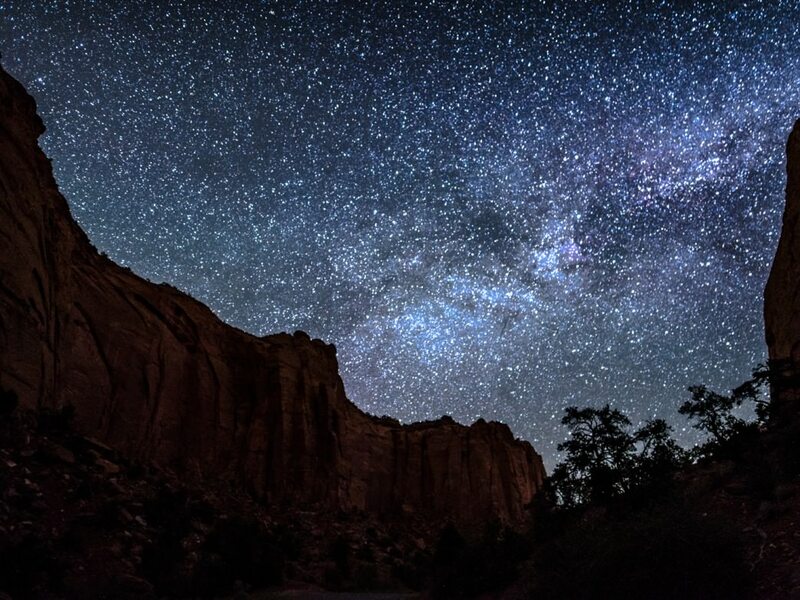 A paved and graded, gravel and dirt road, it extends from Boulder to Bullfrog Marina, passing through the Grand Staircase-Escalante National Monument, Capitol Reef National Park, and Glen Canyon National Recreation Area. 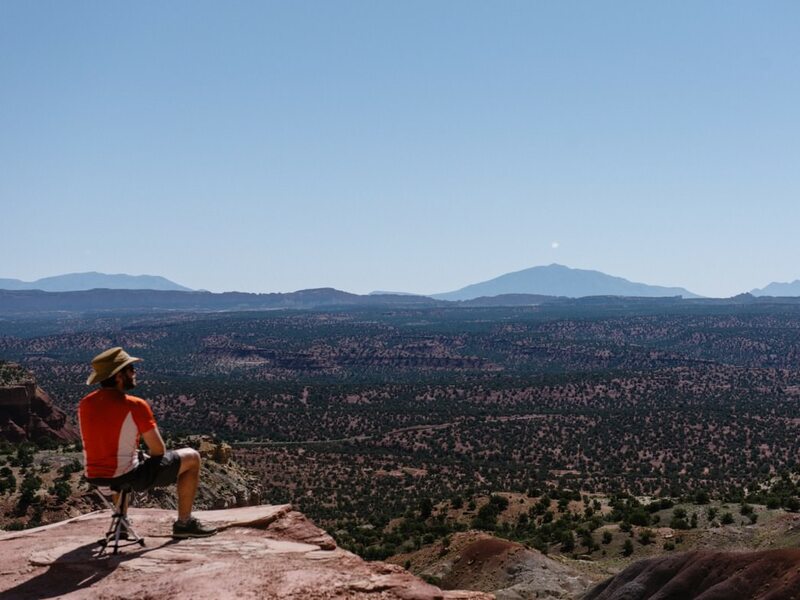 Numerous stops abound along the trail, including family-friendly excursions, scenic viewpoints, and general meandering through juniper-laden desert. 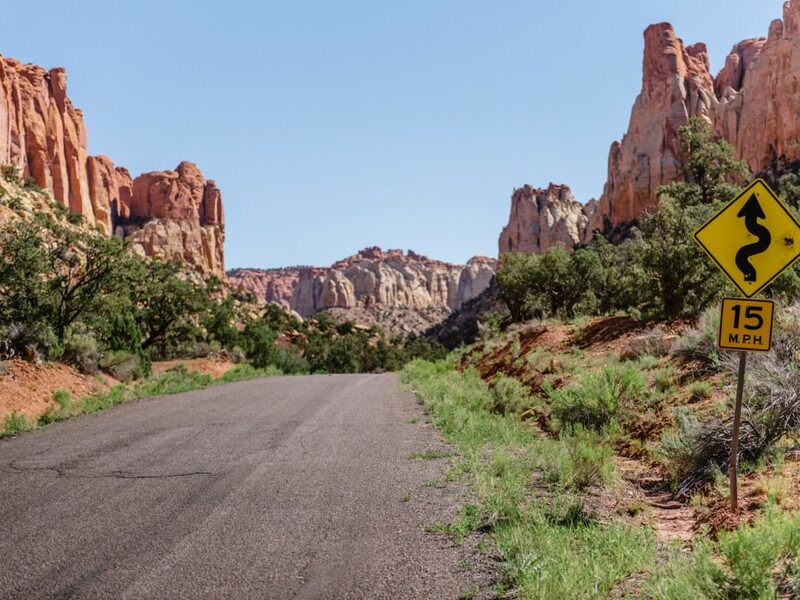 From Boulder to the west boundary of Capitol Reef, the Burr Trail Road is paved. 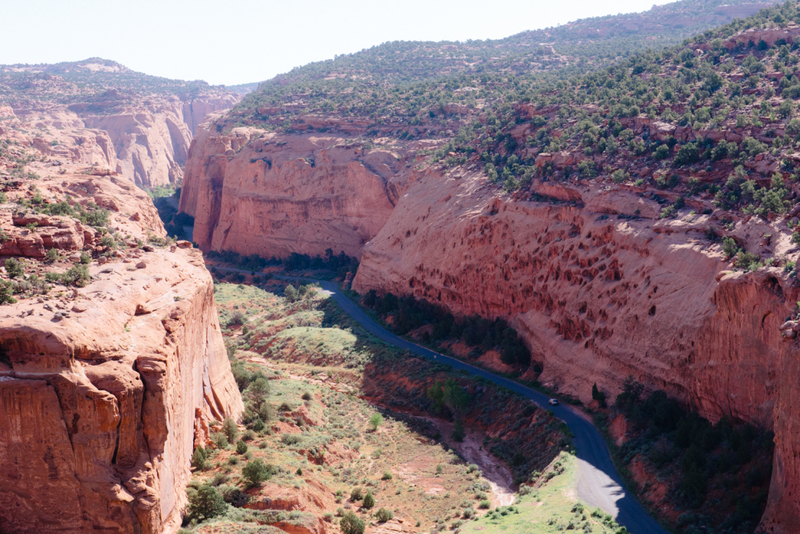 You’ll pass through slickrock mountains and sandstone sand dunes before descending into Long Canyon. You’ll quickly come to Deer Creek Campground and nearby trailheads which afford access to hikes in The Gulch, Circle Cliffs, Waterpocket Fold, and Singing Canyon to name a few. The towering red cliffs of the massive Long Canyon surround you as you drive towards the Reef. At 18 miles down the line, just after the scenic turnoff above the switchbacks, the road turns to dirt and gravel. 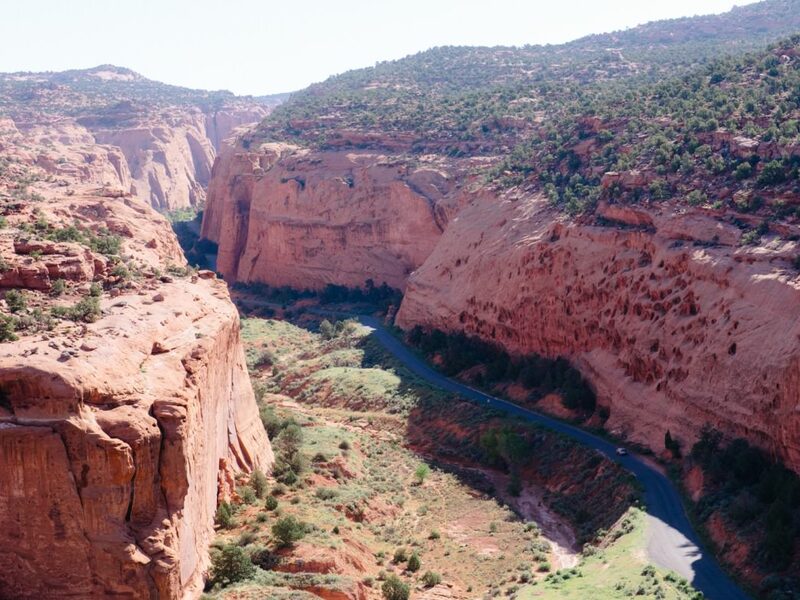 Keep driving along the road to the boundary of Capitol Reef and beyond, and you’ll be rewarded with a vista that includes jagged sandstone reefs and all five peaks of the Henry Mountains in the far distance. Keep driving, or use this expanse as a place to turn-around. But be forewarned, you will fall in love with this road and its endless photographic possibilities—so much so that you might inquire about becoming a host at Deer Creek Campground, so you can keep exploring year-round. The drive through Long Canyon is spectacular and probably unlike anything you’ve driven before (in fact, a good number of car manufacturers film commercials here). You’ll love any of the number of hikes and walks you decide to stop and check out along the way. And you’ll have to pick your jaw up off the ground when you see the view from the top of the Burr Trail switchbacks. Lovers of long, classic American drives. Families with action-packed itineraries, who like to see the world as they whiz past, yet make time to stop for quick jaunts that are enjoyable even with the littles. 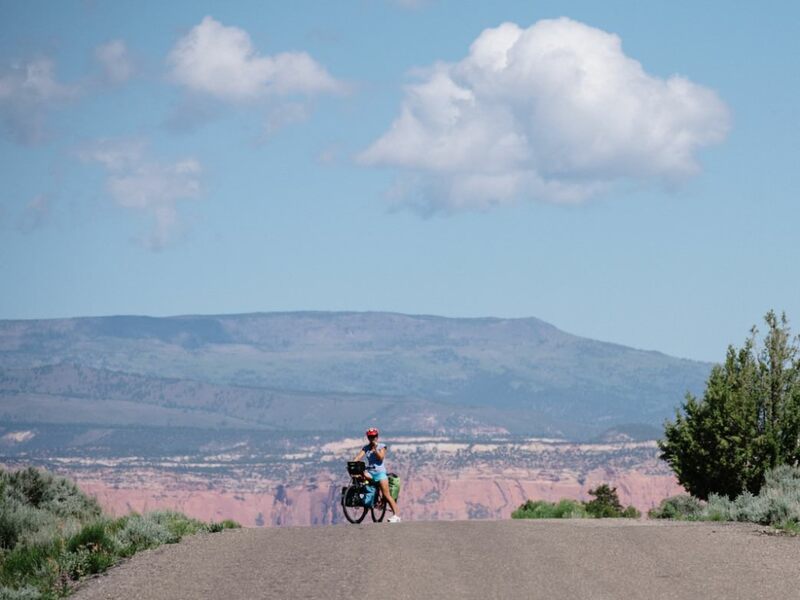 The Burr Trail Scenic Backway begins in Boulder and ends near Bullfrog Marina on Lake Powell. The road can be travelled with a passenger vehicle from spring to fall during dry conditions. Due to a high clay consistency, the road may be impassable even to vehicles with 4WD after a storm—check the weather before you travel. Be sure to pack plenty of water and the supplies you’ll need for the trip, because despite the road’s beauty, it’s fairly remote and access to cell phone service is unlikely. There are no fees to drive on the Burr Trail Scenic Backway. Feel free to bring a dog, but most areas and trails along the backway require your dog to be on-leash.